A sunny day view from Long Cove Club. Steeped in the rich history of the Old South, Long Cove Club embraces the romance and charm of the Carolina Lowcountry. 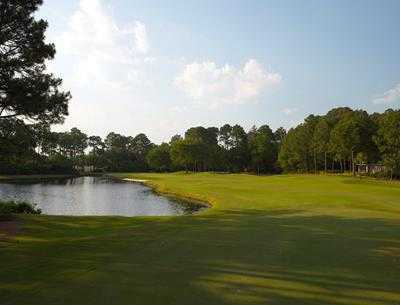 This golf course is widely hailed as one of Pete Dye and Alice Dye's finest works of art. 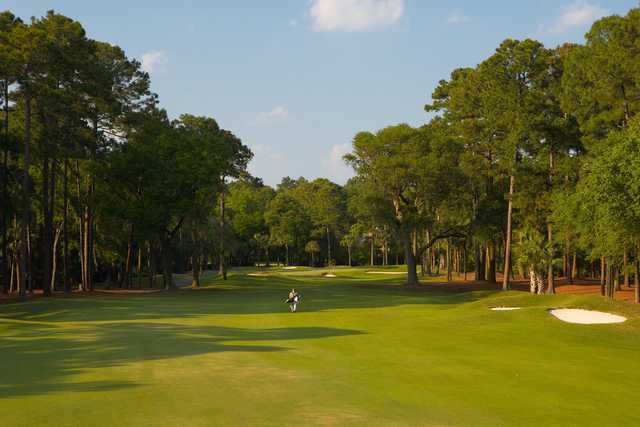 This 18-hole championship course on the banks of Hilton Head Island, is set among 630 acres of moss-draped live oaks, stately pines, magnolias and sweeping vistas of saltwater marsh. Tee boxes accommodate golfers of all skill levels. 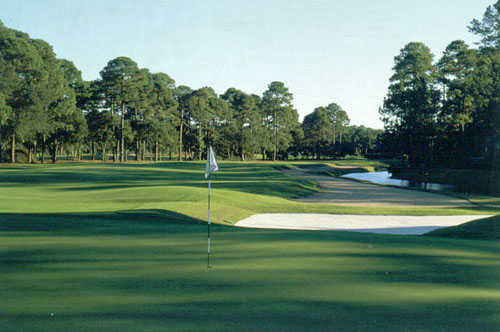 Long Cove Club's the third hole, 527 yards from the blue tees, is considered one of the top par-5's around. The hole turns gently right to left around a hazard that runs the length of the hole. At the end is a very dramatic green with interesting undulations. The 565-yard 15th, the longest hole on the golf course, is best played down the left side off the tee and left as well for the second, avoiding the big fairway bunker that covers most of the fairway. The smallish green is guarded by two small oaks and a nasty pot bunker in the front. The course rating is 74.8 and it has a slope rating of 142 on Bermuda grass. Long Cove golf course opened in 1982.